When it comes to choosing lighting for your home, there are plenty of options. Selecting the right lighting for different areas and rooms can be a daunting task, and there are a number of things that need to be taken into consideration. For example, one of these will be the need to think about each room separately before deciding on the right lighting. 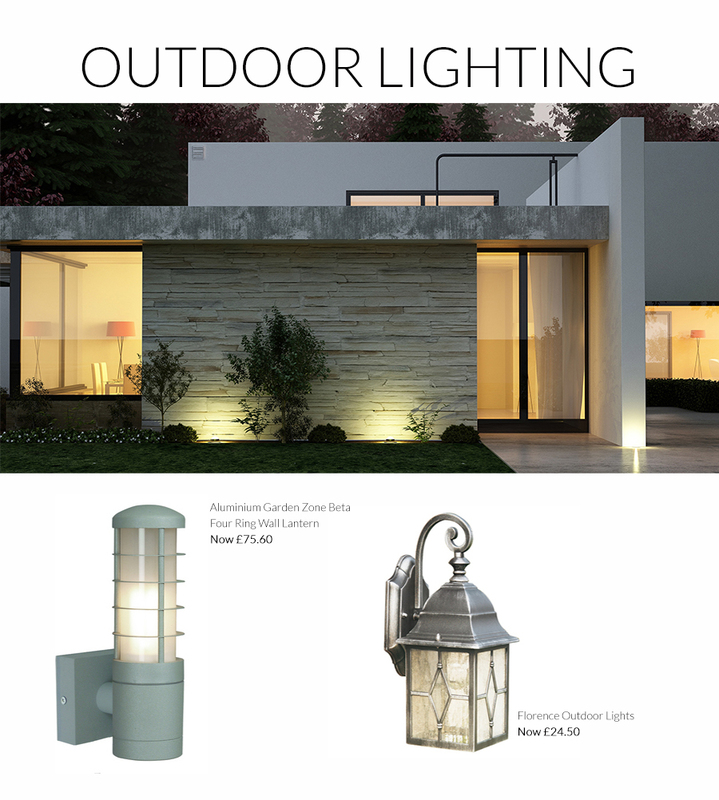 It is important to consider the function of the lighting and where it should be placed, as well as your personal preferences and the design you are going for. 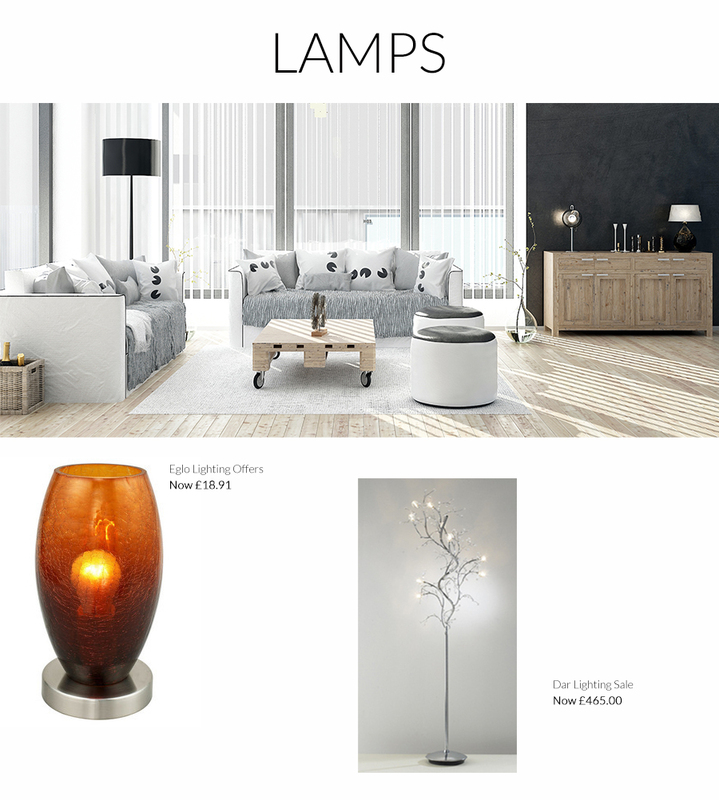 Lighting obviously has the primary purpose of providing light to a particular space, but it is so much more than that. As well as giving light, it can also add drama and instant appeal depending on the position of the lighting and the style chosen. 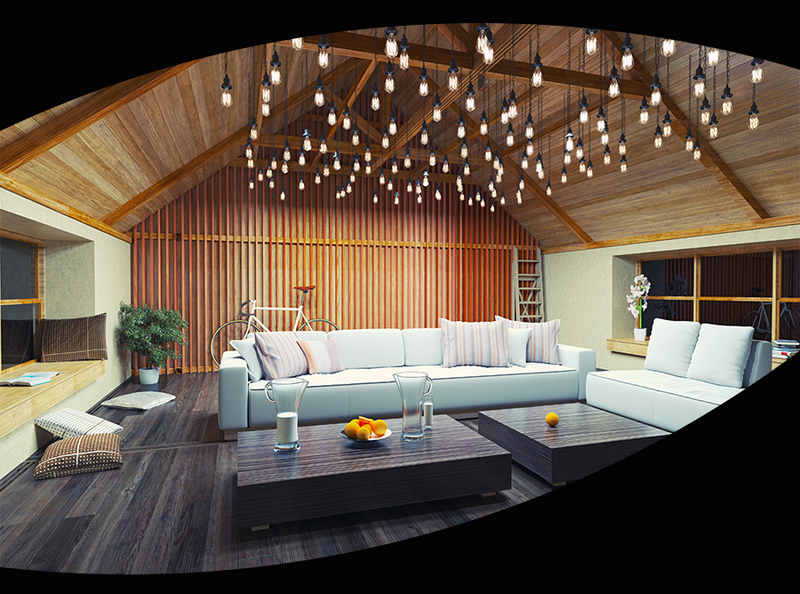 When it comes to getting yourlighting right, you have to consider the type of lighting you want, and then know how to utilise this correctly. In light of the above, below is our ultimate lighting buying guide. 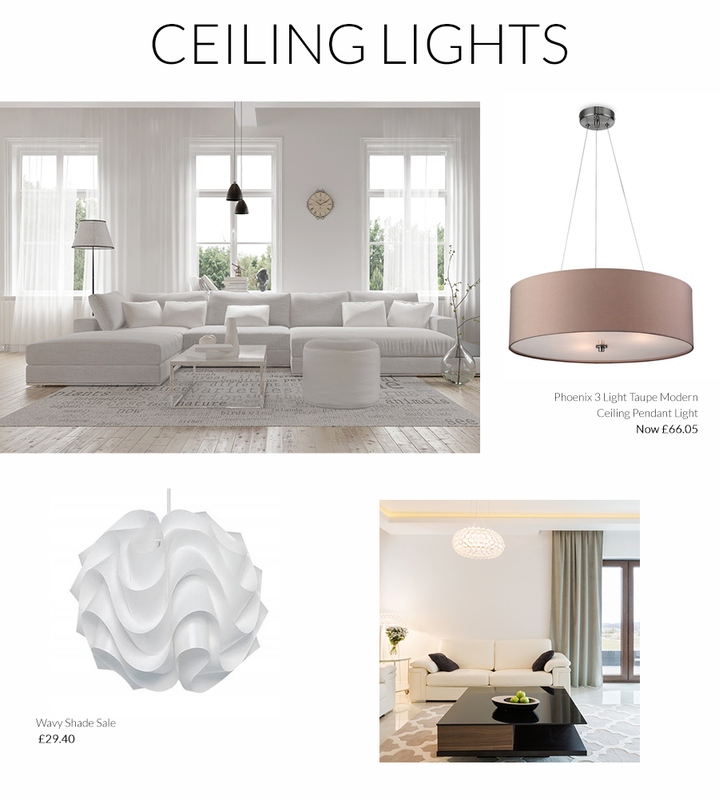 Ceiling lights were once the only type of light used in a room, but these days the ceiling light is accompanied by many other lighting options. Nonetheless, in most rooms, a ceiling light provides an excellent light source, and it can also be used as a decoration for the room. or foyers. Chandeliers are typically used in rooms with high ceilings, as they tend to hang quite low. Pendant lighting is another type of ceiling lighting style that is commonly employed in the modern home. Pendant lighting tends to hang quite low, and many people like it to dangle over a dining table to add much-needed light and to provide a contemporary feel. especially in countries where the weather gets quite hot. can be rotated to the desired position. Ceiling lighting is intended to provide adequate levels of ambient light to a room and can be controlled with dimmer switches if necessary. great thing about wall lighting is that it can be used with or without a ceiling light, and it provides a warm and cosy atmosphere within a home. below a piece of art and will draw attention to the particular piece by highlighting it. Swing arm lamps are particularly popular in the bedroom as these provide adequate lighting for reading and do not require bedside tables. They are a direct light source and can be positioned away from the bed when not in use. 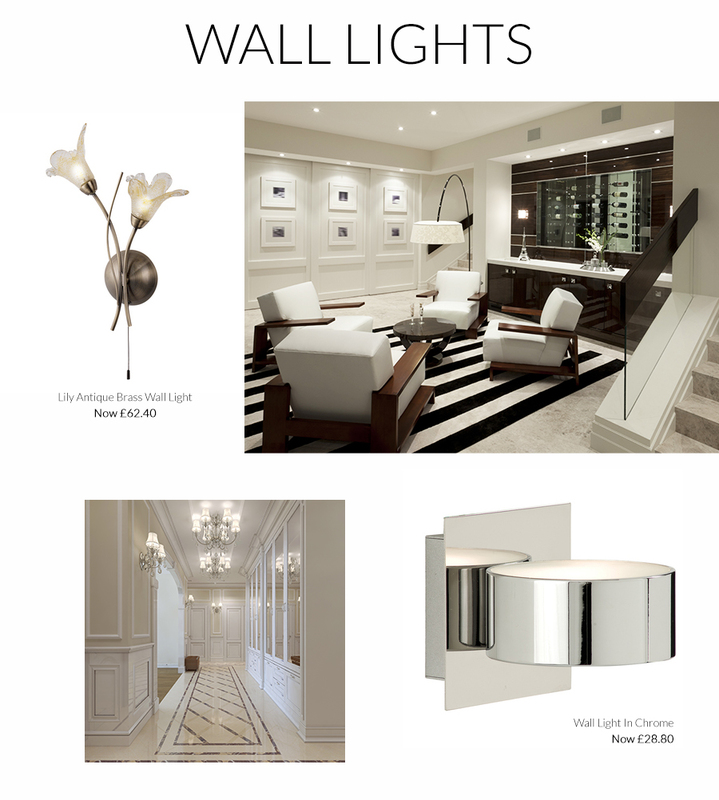 Wall lights are the perfect way to add lighting to rooms that have little space for floor or table lamps. and there are many beautiful styles to choose from that will enhance the décor of a home. 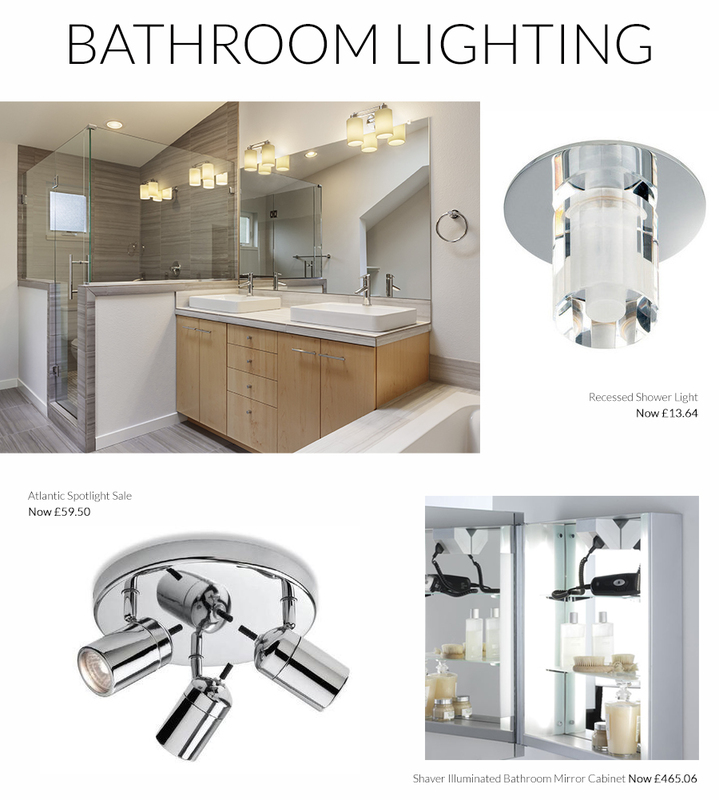 While lighting is an important element in all rooms, it is of particular importance in the bathroom. This is where the most intense light is usually needed as it is in this room that people apply makeup, shave and take care of general personal grooming. There are many different types of lighting styles for the bathroom, with ceiling lighting being the primary source. Wall sconces are another common source of bathroom lights and are generally installed around the bathroom mirror. Recessed or ceiling lighting is also commonly used in the shower cubicle to ensure sufficient lighting when showering. pathways or walkways to and from the front and back doors, and outdoor lights fixed above the front door will provide adequate lighting to welcome visitors to your home. You may also want to add security lighting to ward off intruders.